SPRINGFIELD, MO — Located just a short drive north of Branson, no trip to the Ozarks is complete without a day trip to the third largest city in Missouri. Springfield offers a diverse variety of excitement and fun for the entire family ranging from Bass Pro Springfield to exciting nightlife and great dining, all located less than an hour away from the Branson charm. Springfield is home to Missouri's top tourist attraction, Bass Pro Shops Outdoor World. This 280,000 square foot marvel features a cascading indoor waterfall, saltwater aquarium, several freshwater aquariums, daily feedings, an archery and pistol range, laser shooting arcade, barber shop and more — all located within one of the most extensive sports and outdoors shopping experiences in the world. A coffee & snack shop, McDonald's fast-food restaurant and Hemingway's upscale restaurant are also located within this incredible indoor experience. Located just next door to Bass Pro Shops Outdoor World is the Wonders of Wildlife Zooquarium. This indoor walk-through wildlife experience takes visitors into the world of the Animal Kingdom with exhibits that include the Bobcat Habitat, Predators: Life on Top, Tropical Coasts, Hooves, Horns, Hide & Hair and many more! Wonders of Wildlife is an excellent choice for children and families as it is both exciting fun and extremely educational. Two other exciting Springfield attractions are located just north of town. Ride under the ground and into Fantastic Caverns with a Jeep-drawn tram tour of this geological wonder. 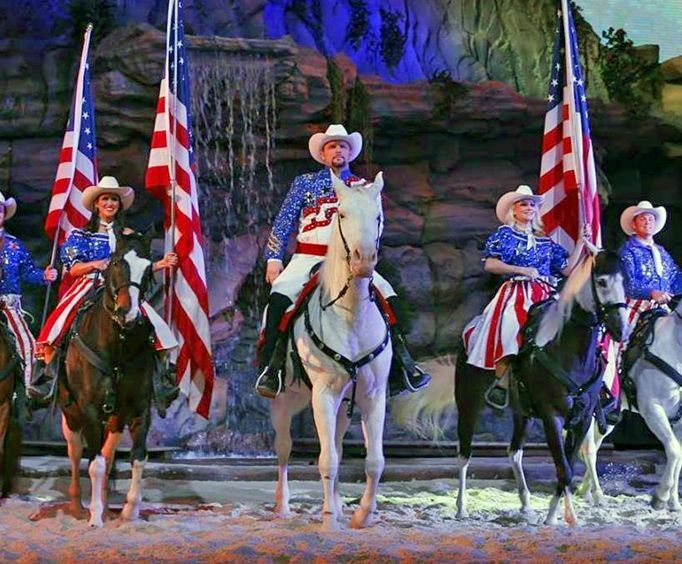 America's only ride-through cave experience also offers a cool down in the summer and warm retreat in the winter — it's always a temperate 60 degrees in this thrilling wonder! Exotic Animal Paradise is another popular visitor attraction in Branson's sister city. Featuring over nine miles of roadway, this drive-through animal safari offers visitors the opportunity to interact with rare and exotic animals such as camels, buffalo, ostriches, giraffes, lions and more. Springfield also offers the excitement and convenience of a major metropolitan area with excellent shopping and dining opportunities. Battlefield Mall is the city's largest enclosed shopping center that features more than 150 specialty stores and department chains such as Dillard's, Famous Barr, JCPenney and more. Finding a unique place to eat is never a problem in Springfield, which is home to countless remarkable restaurants including Japanese steakhouses, nationally recognized Chinese restaurants and more, while Lambert's Cafe — the Home of Threw Rolls — is located just five miles south of Springfield on Highway 65. Downtown Springfield features even more exciting dining opportunities, as well as a unique urban park, ice skating rink and the Minor League Ballpark of the Year. Hammons Field is the home of the Springfield Cardinals, the double-A farm team for the St. Louis Cardinals, and the Missouri State University Bears. Take in a first-rate professional baseball game, then head a few blocks to explore the excitement of Springfield nights. Looking for live music and dancing? Downtown Springfield features a lively nightlife scene with a dozens of clubs, bars, restaurants and entertainment venues. Another great attraction to visit while in the area is the Precious Moments Chapel in Carthage, Missouri. Springfield is also home to the Ozark Empire Fair, which takes place every August. No matter how long you're planning to stay in Branson, be sure to include a day or two explore all the variety of her neighbor to the north. Springfield promises an adventure offering the excitement and convenience of the city with the friendly charm of the Ozarks.